Another fun wedding this past weekend. 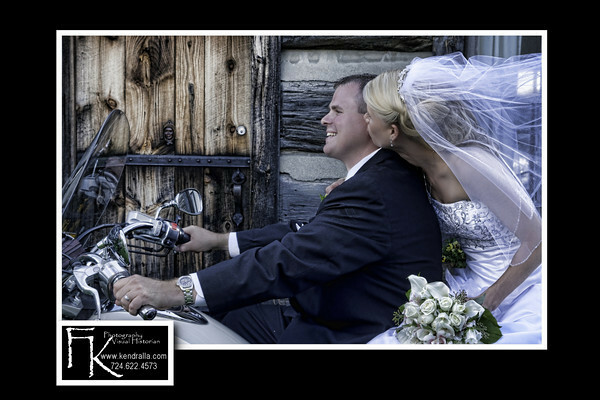 The wedding was held at the Grace Bible Church in Harmony, PA and the reception at Shakespeare's resturant. This is the first of many images I plan to post from Laura and Wes's wedding. 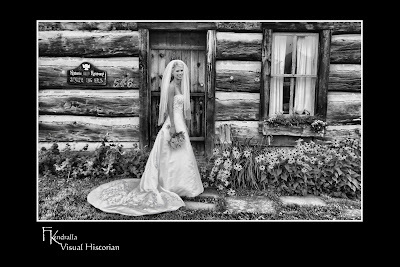 These were shot in front of the log cabin near the Grace Church in Harmony, PA. The first is a very 'fun' shot. Laura was sneaking a kiss as they road off from their wedding. :-D I used Topaz adjust for both images and layer masking to ensure the skin tones did not end up looking like a cartoon character. Another spin on the log cabin.